For decades thereafter, vitamin D was associated with near exclusivity with calcium absorption and bone health; decades would pass before researchers and clinicians would appreciate that vitamin D receptors are found throughout the body and that vitamin D correspondingly played numerous roles in health maintenance and disease prevention. Impairing progress in the study and use of vitamin D was the fear that fat-soluble vitamins were bioaccumulative and therefore toxic; while this generalization was true for vitamin A, it was never—except in the most unusual and extreme cases—shown for vitamin D, vitamin E, or vitamin K and yet the mythology persisted. Finally, in 1999, Vieth2 turned the entire nutritional and medical world on its head by showing in one of the most authoritative single-author reviews ever published that vitamin D was essentially non-toxic, thereby opening doors and minds to a new era of vitamin D’s consideration and utilization. By this time, epidemiologic studies were showing reduced incidences of cardiovascular disease and neuroinflammatory diseases (ie, multiple sclerosis) in sun-lit southern latitudes compared with sun-deprived northern latitudes, and clinical studies were starting to show anti-inflammatory and disease-preventive benefit of vitamin D supplementation. The years 2003-2004 provided a major turning point with publications by Heaney et al3 (2003) showing that the physiologic utilization of vitamin D in adult men was approximately 4,000 IU per day, Zitterman4 (2003) suggesting that the biomedical field was being negligent by ignoring the burgeoning vitamin D research, and Vasquez et al5 (2004) publishing “The clinical importance of vitamin D (cholecalciferol): a paradigm shift with implications for all healthcare providers” which conservatively defined appropriate doses of vitamin D for infants (1,000 IU/d), children (2,000 IU/d), and adults (4,000 IU/d), proposed that dosing should be based on the attainment of an optimal serum range of 25-hydroxy-vitamin D3 (40-65 ng/ml [100-160 nmol/l]), and provided “guidelines” for “clinicians and researchers using vitamin D in clinical practice and research to improve the quality of research and patient care.” Vasquez and Cannell summarized and republished these guidelines in 2005 in the British Medical Journal, which gave the guidelines additional availability for free “open-access” to all readers and researchers internationally via U.S. National Library of Medicine’s PubMed Central. 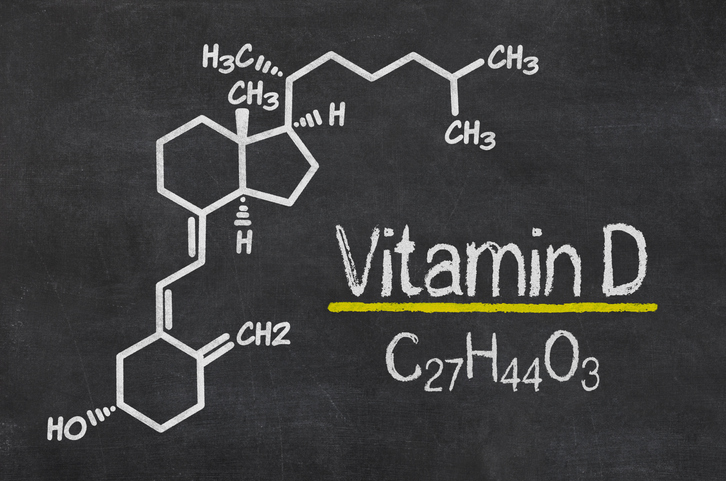 Many researchers have contributed to our contemporary understanding of vitamin D, and many of their publications are worthy of respect and mention. Among these, the 1991 study published by Hyppönen et al6 in The Lancet was and continues to be a landmark publication that had and has the potential to revolutionize our understandings of vitamin D, autoimmunity, and type-1 diabetes; indeed, perhaps because of its paradigm-shifting power, the article was largely ignored, not because of its lack of importance but because of anti-nutrition sentiment within the medical profession and clinicians’ inability to integrate an updated version of reality. This study was of sufficient duration (31 years), size (more than 10,000 subjects), impact (78% reduction in type-1 diabetes), and importance (type-1 diabetes is a life-threatening and life-limiting disease accompanied by many complications and much suffering) to immediately change healthcare policy internationally. Continued ignorance and denial of this publication is among the great travesties in medical history which, in this case has had directly negative consequences for the ~40,000 people diagnosed each year with this disease and the millions of people who suffer daily from this condition worldwide. Come See Dr. Alex Vasquez speak LIVE at the EPIC Functional Medicine Conference on May 3-4 at the JW Marriott Downtown in Houston ,TX ! !